I just got hooked on one of those websites that invite you in with a startling headline and once you take the bait… “10 Foods To Clean Up Smokers’ Lungs” …you feel like Alice down the rabbit hole. I decided to look for the best “lung food” on my own (via a reasonable website) and came up with these foods. 1. Garlic – garlic has various anti-inflammatory properties along with a high level of allicin. This helps to fight infections and reduces inflammation. Garlic has also been considered by many as being effective in improving asthma and can help to reduce the risk of lung cancer. 2. Ginger – ginger will help to clear your lungs thanks to its anti-inflammatory properties. You can add ginger to various dishes as it is a widely used herb. You can also use it to prepare ginger root tea blended with some lemon. This helps a great deal to remove toxins from the respiratory tract. 3. Turmeric – just like ginger and garlic, this spice is great for your lungs due to its anti-inflammatory properties. 4. Apples – apples contain various vitamins as well as flavonoids that can help maintain a healthy respiratory system. They also help to prevent the development of different lung diseases. 5. Dark Berries –berries such as blackberries, blueberries and raspberries are rich in antioxidants. 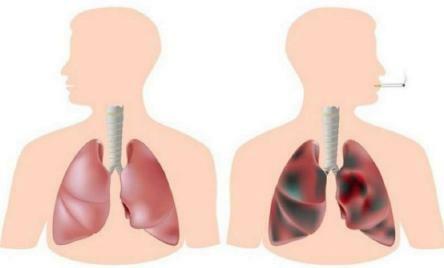 They help to reduce the risk of lung cancer as well as other infections and diseases. 6. Grapefruit – this fruit is simply great as it contains a lot of lung supporting minerals and vitamins. If your lungs have been effected by carcinogens, grapefruit will help to cleanse your lungs. 7. Pomegranates – this fruit contains a lot of good properties. It can slow down the development of various lung issues. 8. Seeds, nuts and beans – these contain a lot of magnesium which is highly recommended for asthmatic people. It will also help to increase the lung capacity and improve the efficiency of the respiratory process. 9. Pistachios – raw pistachios are great to improve lung health. They can help prevent kung cancer according to various studies. They also help to lower cholesterol. 10. Cayenne pepper – they are great to suppress coughs as well as sore throats. Cayenne pepper is often when one is suffering from respiratory problems or bronchial congestion. 11. Chilli and curry – they are both great for lung detoxification. Since they are spicy they will essentially liquefy any mucus in your lungs, throat and nose. 12. Onions – onions are rich in folic acid, as well as vitamins B6 and C. They thus offer various health benefits, and are also known to help fight against lung cancer development too. 13. Cruciferous vegetables – all vegetables that derive from the cabbage family are referred to as cruciferous vegetables. These include broccoli and cauliflowers, for example. All these vegetables are literally packed with antioxidants. These work to cleanse the body, including your lungs, from toxins. 14. Foods with carotenoids – carotenoids are renowned for their unique ways of fighting off the development of lung cancer. This type of antioxidant is found in many fruits and vegetables. When consumed this antioxidant is converted into Vitamin A which is also highly effective against asthma. There are various foods that contain carotenoids, including carrots, tomatoes, pumpkins and apricots. 15. Water – last but not least, water is very important to cleanse your lungs. Rather than drinking soda, coffee, alcohol, or other beverages, you should opt for water. It is an excellent source of hydration and it accelerates the detoxification process. If you are not used to drinking clear water, or maybe you hate that plain taste, you can add some flavour to it by adding some drops of lemon juice. This entry was posted in health, Uncategorized, World and tagged cancer, cleanse, eating, food, healthy, lifestyle, lungs, smoking. Bookmark the permalink.